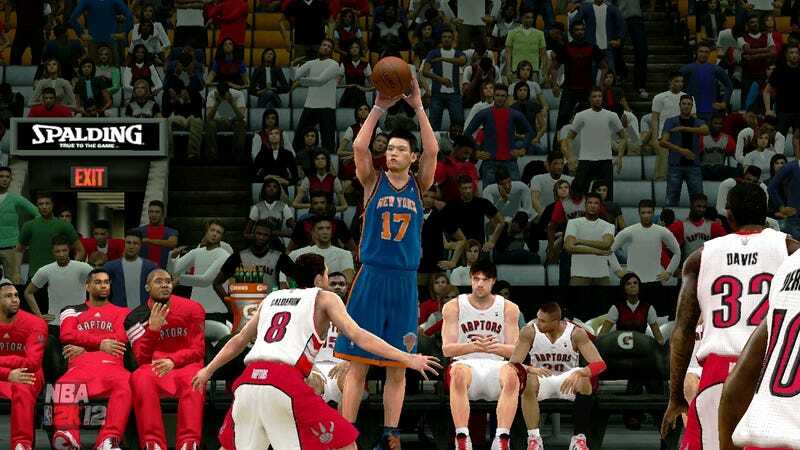 • As promised, 2K Sports rolled a second roster update early this morning to give New York Knicks sensation Jeremy Lin another nudge in his overall ratings. Lin, who has come from the end of the bench to lead New York to seven straight victories, has jumped from a 56 overall at the beginning of the season, to a 69 on Wednesday and now a 75 overall. Lin's biggest individual attribute increases come in speed and passing. Other player updates are included, including teammate Carmelo Anthony, who won't return tonight against New Orleans but could be back from injury to face Dallas on Sunday. • Sports video gaming's getting in on the Kickstarter craze, too. Would you like to see a Tecmo Super Bowl-style MMO? Check out Gridiron Heroes, by Florida-based Pixel Rampage. A $15 pledge gets you access to the beta once it releases. Gridiron Heroes currently has 28 backers and is $1,355 of the way toward a $7,500 overall goal. Details and a gameplay video at the link. • The SSX demo will arrive on Tuesday in North America for both PlayStation Network and Xbox Live, and on Wednesday for PSN subscribers in Europe. The demo features four events and two tutorials, one being skydiving to teach you how to use the game's wingsuit. Zoe is your playable rider; refer a friend and you get Mac. Finally, Evan told you last week that Tiger Woods' three-year-old self would appear in Tiger Woods PGA Tour 13's new Legacy Mode, in which you progress through the golfer's highlights and memories, going back further than just his time on the PGA Tour. This video from EA Sports shows what that will involve.